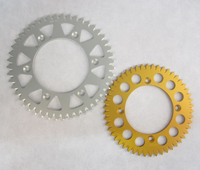 Do not hesitate to contact us, we can certainly help you anyway.e have one of Europes widest range of sprockets and chains for motocross, enduro, supermoto and vintage motocross. To be able to have as large and wide range as possible we are forced to buy from several suppliers but PBR and Supersprox are our main suppliers. 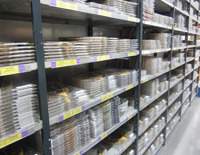 This means that prices and look can vary but you can always be sure to get high quality parts at an affordable price. When you purchase the rear sprocket, we cannot guarantee that we have both PBR and Supersprox in stock but you can choose the brand or color you prefer and we will, if possible, give you that. 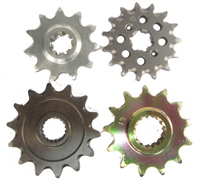 PBR rear sprockets are silver and self cleaning, Supersprox are gold or bronze and self cleaning. All rear sprockets have a round center for best strength, they will not bend as easy as open sprockets in deep ruts or in the forest. We sell RK chains. RK has a great range and we sell chains of competition quality at competition prices. Don't hesitate to ask, we may be able to help you anyway. 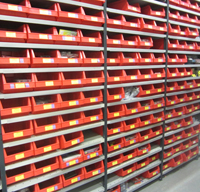 Choose brand, model and size of your sprockets and chains below.